Rinse fresh blue mussels in tap water. Dip mussels in mixture of melted butter, lemon juice and salt. 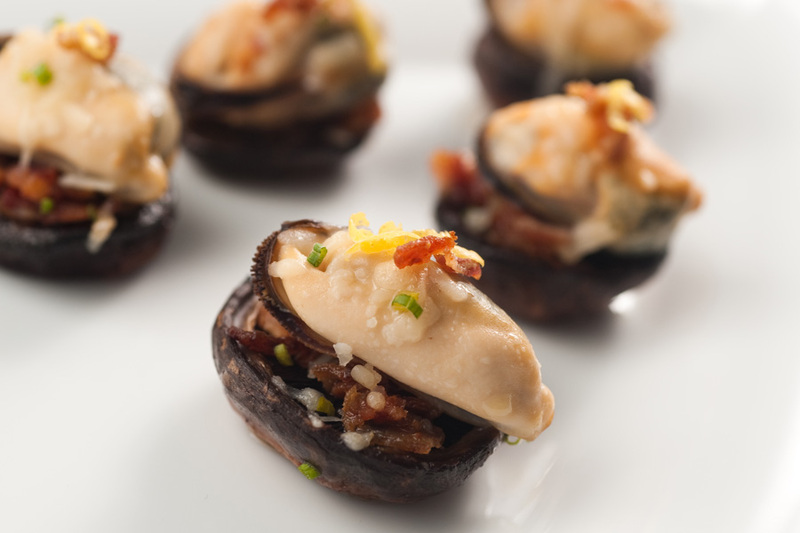 Place one mussel in each mushroom cap. Place in a lightly greased baking pan; pour remaining butter and lemon juice mixture over the mussels and mushroom caps. Bake in preheated oven for 10 minutes. Serve hot.